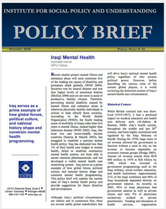 Hamada Hamid Altalib is a Senior Fellow and former Director for the Center for Global Health at ISPU. He is also an Assistant Professor in the Departments of Neurology and Psychiatry at Yale University. Dr. Hamid completed a dual residency in neurology and psychiatry and a Masters in Global Public Health at New York University, followed by a clinical research fellowship in epilepsy at Yale University. 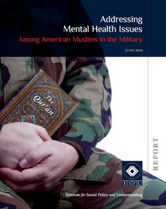 Dr. Hamid has published several articles and book chapters on neuropsychiatric illness, mental health policy in the Middle East, and the role of culture in mental illness across a diverse spectrum of Muslim populations. 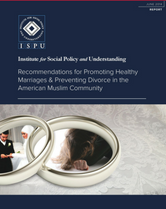 He is also the founding and current managing editor of the Journal of Muslim Mental Health. 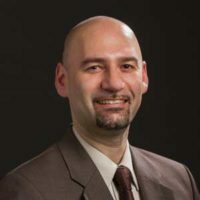 Dr. Hamid has served on the boards of Tamkeen, an Arab American social service agency, Muslim Mental Health, Inc., Muslim Family Services, and he is an affiliated faculty member for the Council of Middle East Studies at Yale University. Dr. Hamid was a Fulbright Fellow in Jordan (2002-3), where he conducted research at the University of Jordan. Dr Hamid received his medical degree from the School of Osteopathic Medicine at Michigan State University.